Richmond West 10’s only bookseller exulted with every sale he made to the would-be pioneers who passed through here. Books, printed on paper, every one of them! Dead tree technology! Information that, if carefully stored, would last for millennia! And no batteries required. It ought to be on an ad hoarding, he thought. The instructions appeared online in 2015; anonymously posted but guaranteed to be followed by thousands of inquisitive children. That day is now known as Step Day. One by one, children disappeared, stepping into the next world. 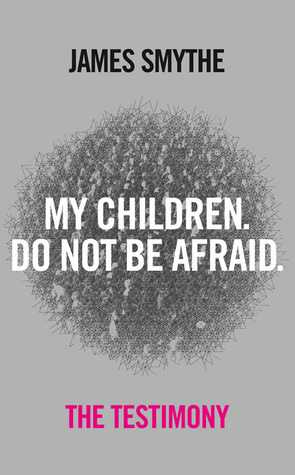 The children were scared and helpless except for orphaned Joshua. For once, her felt strangely at peace and he led the lost back to their earth. From that day onwards, it was known that there were other earths, with different evolutionary paths. Pioneers set out to colonise these new worlds leaving behind the rich and the poor and those who can’t step. 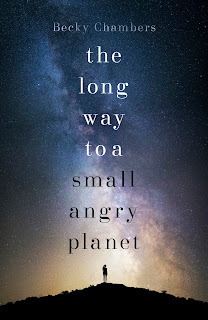 Joshua is happy by himself but when he is approached by the Black Corporation and introduced to Lobsang, the first computer to prove its humanity, he embarks on a mission to step to the ends of the Long Earth. Terry Pratchett and Stephen Baxter need little introduction and their first collaboration has been eagerly awaited by fans. I haven’t read any Baxter but it’s easy to identify the humour and observations we have grown to know and love from Pratchett. However it’s very different in style to Discworld which I can only assume is Baxter’s influence. It’s a little slow to get going with so many characters seemingly on different versions of earth. The chapters concerning the modern day pioneers felt a little disjointed and didn’t contribute much to the plot. I can understand their relevance as back story but the characters weren’t really engaging enough and they got in the way of the real story. However I did really enjoy the bits about Private Percy in 1916 when he first encountered what he thought were the French or possibly Russians but were actually steppers from another earth. They added to the whole story of the primates, our possible evolutionary cousins from other dimensions (or legs of the trousers of time). Who were they? What were they? The looked a little bit like bears, but not with bear faces, or a bit like monkeys, only fatter. And they were just watching him placidly. Surely they couldn’t be French? Lobsang is an excellent character, a computer that has managed to prove in a court of law that he is human. His story is that he’s a reincarnated Tibetan monk and when Joshua first meets him, he’s encased in a vending machine. He is the ultimate super computer yet becomes a character you come to feel for. He enforces a daily film, of which it is always relevant to an event or comment. He might infuriate Joshua but I think they might even manage to become friends along the way. Whilst we don’t get to spend much time in each version of earth I loved the passing worlds and their strange but oddly familiar creatures. 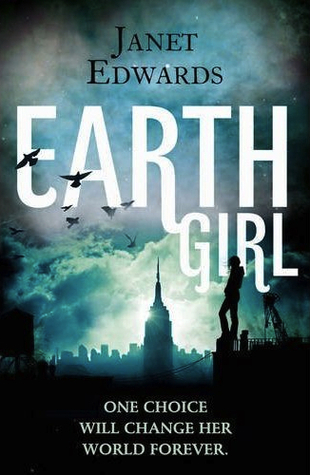 It’s an exploration of what the earth could be like if Homo sapiens hadn’t taken over the place. Yet what is the future of the Long Earth is humans start all over again and what will happen to those left behind? All this sort of makes up for the lack of flowing plot in the first half of the book and I look forward to seeing what happens next. The above image is a made-up book cover that I threw together in a few minutes, going against all my instincts as a photographer. I'm not sure why authors think pushing up the contrast high is a good idea, it is so often overdone. Yes, your stock photos should be adjusted but not so much as to completely ruin any effort the photographer put in. 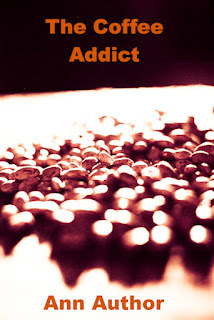 The title and author is in a standard font with no alterations and the colour is something chosen to stand out rather than something that complements the photo. You might think you need expensive software and a background in design to do much different but you don't. The following examples were thrown together in Corel PaintShop Photo Pro X3 which can be bought for less than £20. I have cheated and used Lightroom for the colour corrections only because I have presets already set up and wanted them done quickly. If you learn how to use curves, you can do exactly the same thing with Corel. In the spring of 1994, a body was found on the island of Inchmahome in the middle of the Lake of Menteith, following one of the coldest winters in living memory. The case was never solved yet nearly 20 years later DS Rachel Narey is determined to close this one cold case. It was her father’s; the one he never forgot and now he is losing his memory. Diagnosed with Alzheimer’s he has moved himself into a care home and she feels the one thing she can do for him now is solve his case. He won’t let it be the thing that lingers in his memory. Keeping the investigation off the books, she ropes in photographer Tony Winter and his uncle to work back through the evidence. The wintery setting of Scotland in the grip of snow is something quite different to all the Scandinavian fiction you may be used to. Whilst snow is not uncommon it’s still a thing to be celebrated whilst being an annoyance. Something that no one is ever quite prepared for so I really enjoyed the setting which also moves away from urban Glasgow to the more rural area around Callander and Stirling. It’s a little bit odd having a place associated with my childhood memories as a setting in a crime novel and I do wonder if it’s described enough for those not familiar (I imagine that’s most the people reading this). 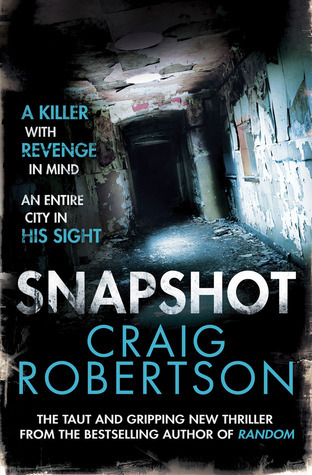 It’s a much slower paced novel than its predecessor, Snapshot. There are some touching moments where Narey deals with her father’s illness and struggles with her reasons for digging around in the case. 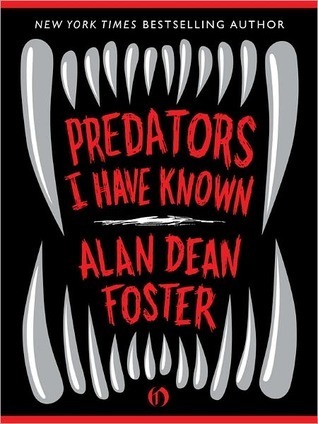 However I didn’t really care for any of the victims enough for it to be gripping. The main characters’ motives are pretty selfish and there isn’t really much time given to develop those that aren’t going to live beyond the pages of this instalment. I felt a little sorry for the girl from the lake, no one really wanted to know what her story was. It was a little too fact based for my liking and not enough emotion. I didn’t mind so much that Winter takes a backseat to Narey in the investigation, it’s probably a bit more realistic anyway. He does get a few chances to indulge in his morbid fascination with death photography but it doesn’t take over. What Robertson excels at is his wonderfully descriptive portrayal of crime scenes. Seen through Winter’s photographer’s eye, both the details and the aesthetic qualities can be captured. This might make for some gory reading at times but it paints a vivid picture in your mind. Cold Grave is the second book featuring Narey and Winter however it would work perfectly well as a standalone read. 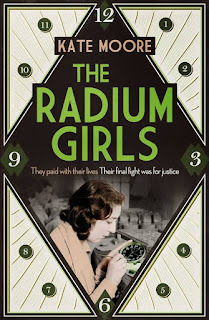 Published by Simon and Schuster, it's currently available in trade paperback and ebook editions with the regular paperback due out in January. Thanks go to the publisher for providing a copy for review. 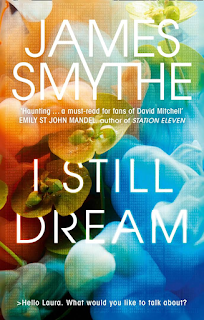 Mara wakes up in hospital with no memories of the night her friends and boyfriend died. All she knows is that she can’t stay in the place filled with memories of her best friend and she begs her parents to move away. She thinks she’s doing great until she starts seeing them; her dead friends, in mirrors or standing on the other side of the room. She must be going crazy. Why can’t she remember? 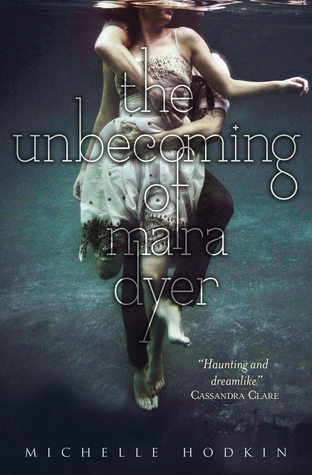 The Unbecoming of Mara Dyer is essentially an attempt at young adult psychological horror that somehow just doesn’t quite make it. The sense that Mara is convinced that she must be psychotic, that the things she sees aren’t real, should create a tense and creepy story but the atmosphere just isn’t there for most of it. Mara is almost blasé about her condition; wouldn’t you be more scared if you thought you were losing your mind? The glimpses in mirrors and her resulting fear of looking into them is probably the strongest part of this. 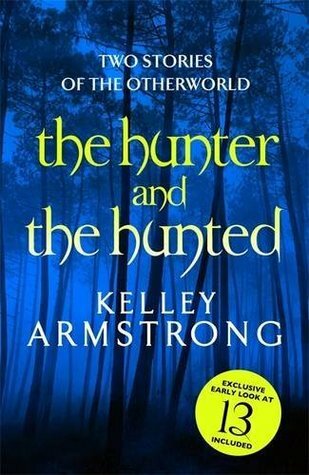 The writing is a little inconsistent and the starting chapters were so bland that I nearly put the book down before it even got going. Yet there was something that drew me on and I enjoyed it at some level. Mara, being a typical American teenager, uses the term “British accent” a few times which of course irritated me…only for her to be corrected by English Noah later in the book. I wanted to cheer him! I actually really liked his character, not really the bad boy in school though obviously there were plenty of rumours, he seems altogether real and swears and says stuff I expect a young man would. Mara turns out to be a quite interesting character, not a typical person you can point out and go yes she’s doing the right thing and I believe in her. The realisation at the end, whilst something I saw coming, makes you wonder how she’s going to deal with it in the future. The school they attended was a little unreal. That they expel a pupil on the say so of one student who is backed up by their best friend? That on an oral exam that will affect college applications, a teacher can fail a student with no proof of anything? It’s hard to bristle with indignation when the unfairness isn’t believable. I can see what she was trying to do but surely there were better ways of doing it? It’s not even like a big conspiracy was revealed at the end to explain it away, it’s meant to be normal behaviour! I do wonder if in the rush to feed the hungry young adult market, publishers are cutting corners. My unprofessional view is that it hasn’t gone through a thorough editing process. There’s promise in the writing and good character development so I wouldn’t avoid the sequel but I was rather disappointed in the package that was The Unbecoming of Mara Dyer. I had a blissful Saturday with my nose buried in a great book all day. Though of course, I now feel like I'm miles behind in blog world but I still love you, promise. I'm hoping Hannah is going to let me count The World of Poo towards her Pratchett challenge otherwise I'm doing a really bad job with it. 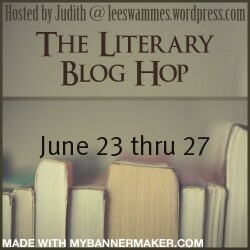 Literary Giveaway Blog Hop | Incoming! I suggest you feed them all the books you don't like. I'm sorry, you were probably disappointed. "all email of mr and mrs thriller @ xxxx"
Creepy, stalker-like behaviour, beware Mr and Mrs Thriller! Historian Diana Bishop specialises in the study of alchemy. What her colleagues don’t know is that she comes from a long line of witches. 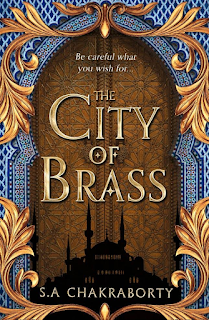 She is careful not to use her magic, she wants to prove that she can succeed without it and she doesn’t want to see the fate of her parents repeated. But when she retrieves an ancient text from the Bodleian Library, she sends a ripple through the magical community. 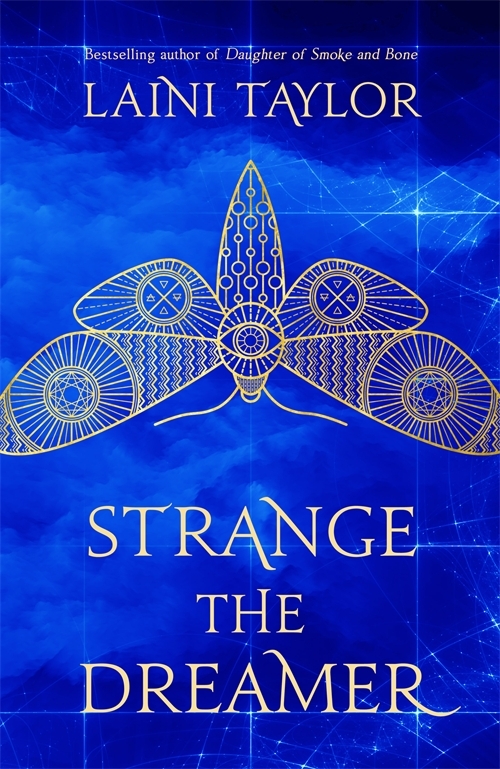 Soon there are witches, vampires and daemons every time she turns around and when the reclusive Professor Matthew Clairmont witnesses her using magic to retrieve a book from the higher shelves, she knows she’s in trouble. Matthew is not only a highly respected scientist, he’s a vampire. And witches and vampires are deadly enemies, or so she’s always been told. Academia meets magic! The world is full of research musty books and cutting edge research as well as a richly told world of magic and secrets. 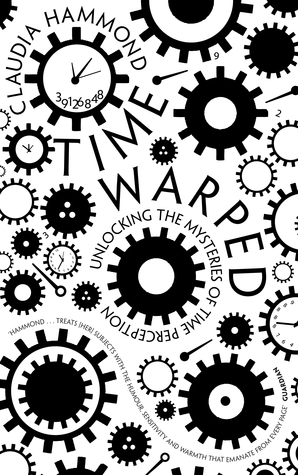 There’s an awful lot going on, and it is a rather lengthy tome, but I was so immersed that I didn’t notice the pages turning or the time passing. I think you can tell that the author herself is a historian; she has clearly set out to create a history for her version of witches and vampires. In some ways, it’s a coming of age story delayed until adulthood. Diana has hidden her magic away and has no idea what she is capable of. She knows little of the world she is part of and it’s enthralling learning about it as the same pace as her. I liked the whole research into creature DNA and that magical beings care just as much about where they came from as humans. Whilst there might be no werewolves in this world, the behaviours of vampires are attributed to those of a wolf pack. The alchemy texts that Diana studies show how the images actually represented things in more modern science. 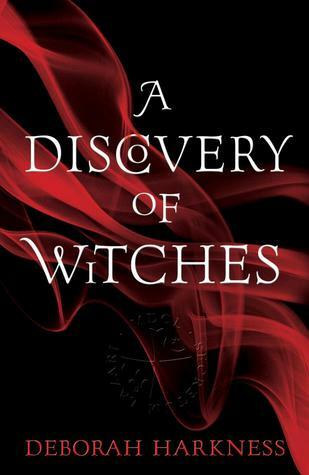 The fact that her research focuses on the moment where science started to replace magic and superstition gives A Discovery of Witches an unusual take on the genre. There were a few moments between Diana and Matthew that came across a little cheesy. I think their relationship relies on the fact that there must be something other going on. After all, the story unfolds over only 40 days, between the Autumn Equinox and Halloween. I was really surprised that so little time had passed as it had felt like months to me. Diana did spend a lot of time sleeping so maybe that skewed my perspective but I didn’t find the timescale realistic. Though it was interesting to see the characters observe the same thing in the final pages! Considering Harkness has taken the time to research ancient languages to include, it did irk me somewhat that her ancient French vampire that had lived for hundreds of years in a rather English part of England, used modern American English. It’s not a lot but I noticed it as I didn’t really know what a subcompact was (I’m assuming a small hatchback) and that made me pick it up on other things. The ending tails off a bit and I don’t think there’s any big conclusion. The climax could be considered to happen too early with a lot of loose ends left lying around. I had around 40 pages to go and I really couldn’t see how it was going to get finished…and well it doesn’t really. 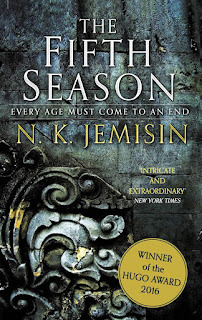 But, a sequel is around the corner, and for some reason, very unlike me which such a long book, I really wanted to jump straight back into the world. I’m so looking forward to Shadow of Night. 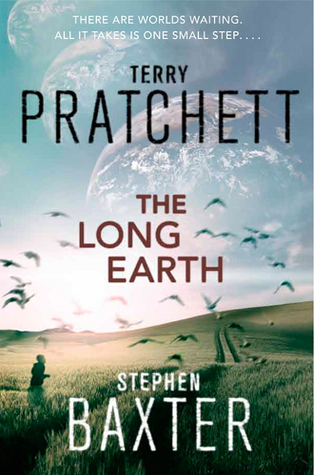 Slowest post ever this week, have pre-ordered The Long Earth but it's still somewhere in the postal system. Boo! Still, plenty of books to be getting on with, including a set of Gollancz greats from The Book People. 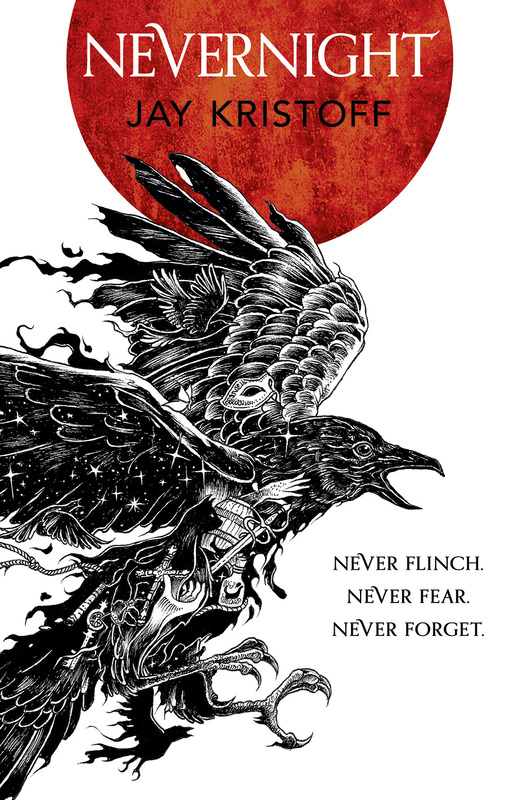 I know, I know, I already had a an eproof of Shadow of Night but bits were cut off by my Kindle so really happy to get a final copy (plus I just finished A Discovery of Witches and can't wait to find time to start this behemoth). Right, I know the rules state "no supernatural" but I believe my two choices are very much literary. 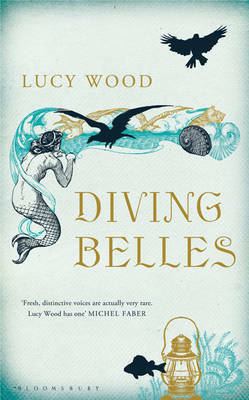 Diving Belles is a beautiful collection of short stories where the mythology of Cornwall is interwoven with the lives of normal people. The Testimony, concerns a voice that might be god or aliens... or just a really impressive hoax. These are two books that I believe more people should be reading. In Snuff, Young Sam Vines had moved on from Where’s My Cow? and his new favourite book was The World of Poo. 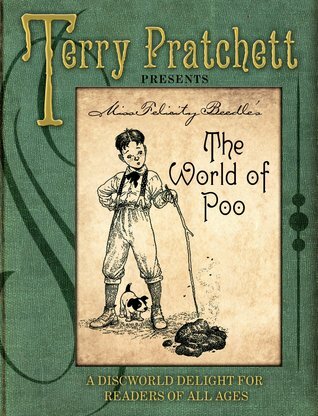 Because Sir Terry Pratchett is awesome, once again he has brought Sam’s fictional book to life in a charming story all about poo! I’m not sure the plot really matters. Geoffrey is staying with his Grandmother in Ankh-Morpork and he starts up a poo museum in the garden shed after he’s told that being pooed on by a bird is good luck. The story follows his adventures round the city as he collects different types of poo and even visits Sir Harry King, master of all things poo. I can see this being a huge hit with small children even if parents might want to deter poo collecting as a hobby. Geoffrey is encouraged to wash his hands a lot so there is a positive message in there too. The line drawings by Peter Dennis are charming and add a little extra to the story; I especially liked the ones illustrating his trip to the zoo. And in true Pratchett style, there are plenty of footnotes to keep the adults entertained (though personally, I thought the whole thing was amusing). There’s a lot of moaning on Amazon about the formatting on the Kindle edition. I can see how it might have been difficult with the illustrations and footnotes but there’s a bit of me that thinks this book deserves to by a physical thing. The hardback has a lovely feel to it and at the very least, it’s an interesting conversation point for visitors to your home. When they start dying, no one seems to care. The criminal set of Glasgow are being gunned down, one by one and many think the vigilante killer is doing what the police couldn’t or wouldn’t do themselves. Police photographer, Tony Winters has a fascination with seeing death through his camera and he begs his best friend, DI Addison to assign him as official photographer on the case. With his penchant for capturing the crowds and the police at work, is he purely a nuisance or could his photos hold the key to solving the crimes? Winter had never ceased to be amazed at the colour of blood because you never knew quite what you were going to get. See it vivid when the haemoglobin is oxygenated and you will be seeing amaranth, candy apple or American rose. See it dull, listless and dying and it will be sangria, rufous or burgundy. Tony is not your average crime protagonist and there will be times where you question his allegiance. He was driven to become a police photographer when he was dragged to an exhibition of Enrique Metinides’ work and he became entranced by the scenes of death and destruction. Metinides is a real person, a Mexican photojournalist who has captured the horrors of crime and disaster for tabloid papers, where such shocking images are more commonplace. Of course, in Snapshot Tony doesn’t exhibit his photos and mostly works within the confines of his job but there is a clear feeling that he gets a rush from it. There was a lot going on in the opening chapters and a lot of characters to get to grips with so it took a while to really get into the story. The murders come one after another but because of the city’s apathy towards the victims, they all rolled into one for me. Once the plot becomes more personal in the second half, it turns into a bloody good read. 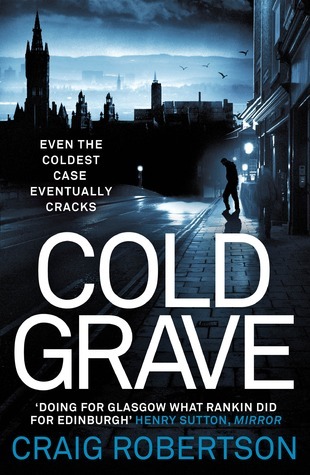 I have the follow-up, Cold Grave, to read and I will be intrigued to see how it fares now I have become familiar with the characters. I’m not sure Glasgow’s tourist board will be thanking Robertson though. He paints a bleak picture of a city riddled with violent crime, drugs and prostitution. Maybe now that the vigilante has killed them all off, it may become a better place to live in future instalments! You can read a bit more about Metinides here but beware the image on the article may be distressing. It’s the winter of 1916 and the small French town of St Péronne is occupied by the Germans. With their husbands away at war, sisters Sophie and Hélène are running the family hotel, Le Coq Rouge, the best they can, considering they have no guests, barely any furniture and meagre rations of food and drink. So when the new Kommandant requests that she prepares the evening meals for his men, Sophie has little choice but to say yes. She must be careful, for he seems much more intelligent than his predecessor yet she is bold enough not to hide her prized possession; a painting by her husband, Édouard. It’s a portrait of Sophie from when she was at her happiest and the Kommandant is rather taken with it…if not maybe her as well. In the present day, the portrait hangs in The Glass House, a modern architectural marvel built by Liv’s late husband. She lives there alone, treasuring the building as a memorial of him and the painting as a memory of their time together. He had always thought the woman in the portrait reminded him of her. But when the painting becomes the subject of a restitution case, Liv is forced to reconsider its heritage. It is rightfully hers, so what if it was stolen nearly 100 years ago? She must make the choice to give the painting up or risk losing everything in a legal fight that she just can’t afford. From the very first page, I was pulled into Sophie’s world. She is dreaming about food, rich and delicious, yet when she wakes up, it is obvious her situation is quite the opposite. Whilst the story of occupied France is a struggle, there are some humorous and touching moments, such as the buried clock that starts to chime and the pantomime that ensues to try to keep it hidden from the Germans. Sophie’s an incredibly strong character in a hopeless position and she does so much for her family and the people of the town who might not even appreciate it. When she must feed the Germans, she becomes the victim of gossip and shunned by the people she thought were her friends. Herr Kommandant is a wonderfully written character and illustrates that people were just people on both sides of the war, especially World War I which is looked back on as such a pointless loss of life. He ebbs back and forth from good to bad and back again, I was willing him not to be a villain throughout. He does bad things but also shows kindness and just as much as I wanted to know Sophie’s fate, I wanted to know that deep down there was good in him. I guess the success of Sophie’s story makes it hard to be wrenched away from her and into the present day. I found the topic of restitution interesting and thought-provoking. 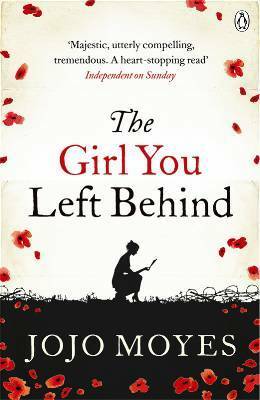 Whilst there is the possibility that the painting, known as The Girl You Left Behind, was stolen during the war, it has such sentimental value for Liv whilst Édouard’s descendants merely see it a material object that they feel they have the right to claim. The narrative doesn’t flit about between timelines; there is a good solid chunk at the start to get acquainted with Sophie and her life and her story slowly becomes more and more involved in the present day as Liv uncovers the history of her painting. The modern day romance seemed to pale in comparison to that of the past, relying an awful lot on coincidence. Enjoyable enough in itself, it’s a little predictable and there’s a chance those picking it up for the more serious elements may find it a little contrived. Initially, Liv’s old college friend, Mo, is the catalyst for her to realise she’s lonely and to go out and eventually meet Paul but after that she was a bit of a spare part who was never really developed. Yet despite this, it’s such an absorbing story, I just flew through the pages and didn’t care. 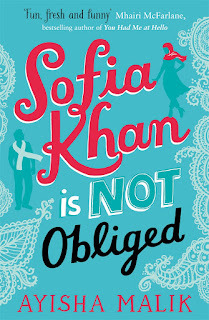 Of course, readers will want to compare it with the hugely successful Me Before You. Sophie’s story is incredibly moving but you’re much less likely to be reduced to a snotty, sobbing mess by the end. Maybe Moyes decided we needed time to recover from the heartbreak. I'm afraid this is a bit of an advance review. 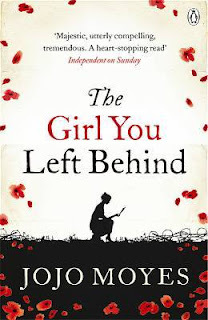 The Girl You Left Behind is due to be released in paperback on 27th September 2012 by Penguin so make sure you add it to your wishlists so you don't forget. Thanks go to the publisher for providing a copy for review. Back on form this week. Phew! I've got far too many books to be slacking on my reading. I've gone from the circus to the weird workings of our brains, to the distant future and back in time. Aren't books amazing? 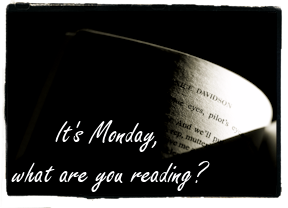 Kingdom Blog Tour: Sci-Fi in the City | Incoming!